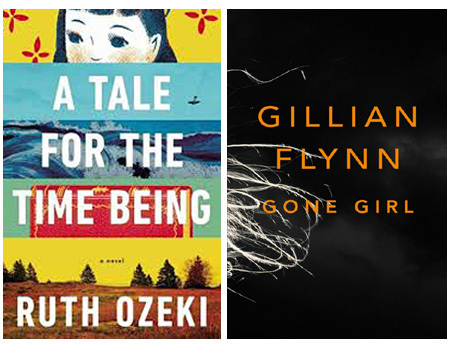 Up on the slab for the usual lengthy dissection process are A Tale for the Time Being by Ruth Ozeki, chosen by Ian and beginning around 14:32, and Gone Girl by Gillian Flynn (49:30) which was Kirstyn's vexatious pick. If you've skipped ahead to avoid spoilers, please come back at 1:25:50 for some feedback and final remarks. Next month, Ian has chosen Ancillary Justice by Ann Leckie while Kirstyn is recommending Bearded Women by Teresa Milbrodt. Read ahead and join in the spoilerific fun!